I made an oblique reference to Bayesian arguments in a postscript to a posting, [stderr] and hadn’t realized that HJ Hornbeck has already been digging into exactly that topic, using exactly that example. [hj1] [hj2] With all respect to HJ, I’m going to use his example as an opportunity to critique some of how Bayesian arguments are used in the skeptical community. First and foremost, I don’t think Bayesian arguments bring anything particularly valuable to the discussion – they’re a way of arguing about our subjective belief in an unknown – they don’t add anything to our ability to gain actual knowledge. So, in the case of the Russian hacking incident, I argue that we’d be better off investing our time in studying actual forensic evidence about the incident than hypothesizing about the probabilities our assumptions about the past are reflected in the present. If everyone believes that the Russians hacked the DNC, it still doesn’t mean that the Russians did; it just means a lot of people believe they did. Flipping that argument onto its head, I am inclined to dismiss the Bayesian argument with a load of snark, i.e. : “Those who don’t know, hypothesize. Those that are hypothesizing would do better to examine actual evidence.” Its somewhat defensible in a situation like “was jesus a real person?” where the evidence has been pretty thoroughly mined out, but with respect to something like Russian hacking accusations we would do better to insist on evidence rather than floundering about in a sea of conditional hypotheticals. With regard to the Russian hacking, I’ve actually performed forensic investigations and have studied attribution carefully enough to know when I am confident attributing an attack, and what standard of evidence I’d require in order to be convinced. 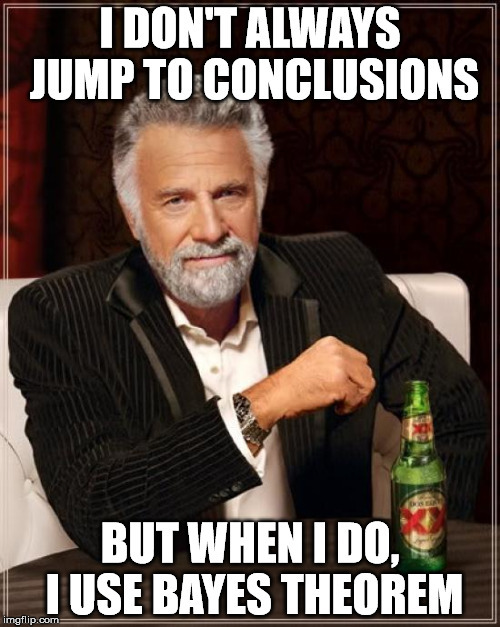 My position is that, since not enough evidence has been presented to make a solid attribution, using statistical models to argue about whether it was the Russians or not would be professional malpractice; the very purpose of attaining expert knowledge is to be able to make the best assessments of objective facts that we can. Depending on past probabilities is intellectual laziness, dishonesty, or ignorance, especially if it’s regarding a matter of any importance. B) The Chinese government did it. C) North Korea’s government did it. D) A skilled independent hacking team did it. E) The CIA did it. F) The NSA did it. This is a good example of how “garbage in, garbage out” happens with Bayesian reasoning. For one thing, there are a lot more choices than the expanded list Hornbeck presents, above. I believe that Hornbeck is being intellectually honest, and is not deliberately manipulating his inputs in order to arrange a predetermined output, but intent really doesn’t matter: the list is heavily biased because it accidentally or deliberately leaves off some potentially high probability choices. We should be as liberal as possible with our hypotheses, as it’s the easiest way to prevent bias. I could easily rig things by only including two hypotheses, A and G, but if I allow every hypothesis plus the kitchen sink then something I consider wildly unlikely could still become the most likely hypothesis of them all. The hypotheses should be as specific as possible (“bad people did it” won’t give you useful results) but not overly specific (“Sergei Mikhailov did it” is probably false, at best he led a team of hackers). When in doubt about a hypothesis, add it in. I’ve always found that the easiest way to understand this stage of the process is to recognize it as pretty much a bog-standard social science survey. Think of it as a multiple choice question, like Hornbeck’s above – a question you frame, and then answer for yourself. I can see how one could argue this is a useful intellectual tool for an individual to explore their personal understanding of a problem, but I don’t see how it can or should possibly generalize beyond the individual’s experience. Within that vast stream of hostile activity, there are Russians. The amount is, of course, unknown. If we even wanted to accept for the sake of argument that the DNC attack was 100,000 times more likely to have been Russians (for whatever reason) the priors for “internet-based attack” are “most likely person or persons unknown.” That’s a nonsensical argument, of course, but that’s Bayesian priors for you, don’t blame me. Of course the Bayesian analyst will say “we need to focus on what we know about the particular case” i.e: look within my carefully cherry-picked data and you’ll find the data I picked. You want a probability? The likelihood is very high that we will never know who hacked the DNC. There’s even more unconscious bias in Hornbeck’s list: he left Guccifer 2.0 off the list as an option. Here, you have someone who has claimed to be responsible left off the list of priors, because Hornbeck’s subconscious presupposition is that “Russians did it” and he implicitly collapsed the prior probability of “Guccifer 2.0” into “Russians” which may or may not be a warranted assumption, but in order to make that assumption, you have to presuppose Russians did it. Again, I am not accusing Hornbeck of intellectual dishonesty; this is a good vehicle for a discussion about the flaws inherent in using Bayesian arguments to promote subjective claims into objective claims. I added J) because Hornbeck added himself. And, I added myself (as Hornbeck did) to dishonestly bias the sample: both Hornbeck and I know whether or not we did it. Adding myself as an option is biasing the survey by substituting in knowns with my unknowns, and pretending to my audience that they are unknowns. 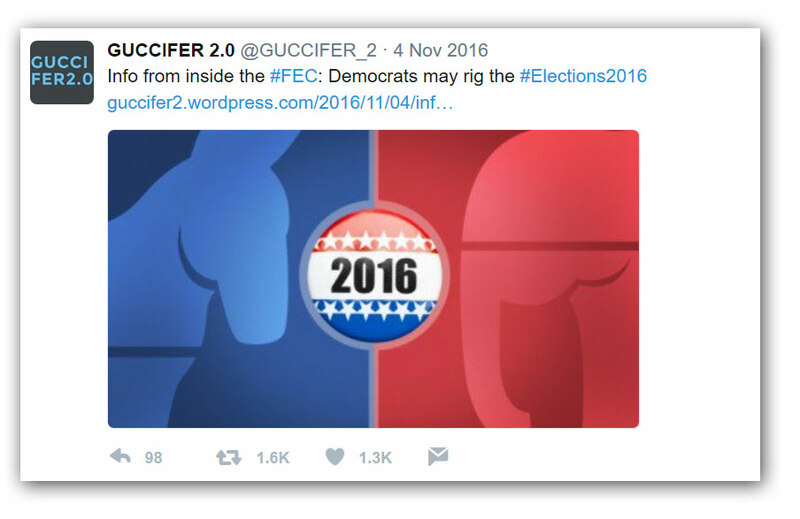 No, that is not an admission that I am Guccifer 2.0 – nor do I know who Guccifer 2.0 is – in that respect I’m as ignorant as pretty much everybody is. I’m falsely adding weight to my priors. If I knew HJ was Guccifer 2.0 my priors would mysteriously be adjusted in that direction; it’s basic sampling bias in survey design. It’s like the poison contest in The Princess Bride – Vizzini can’t decide which cup the poison is in because he’s too smart for his own good. Since the premise is that the attacks were done by sophisticated spies, there’s no valid reason to rule out an arbitrary number of sophisticated head-fakes. One of the other problems with surveys and statistics is that they assume the person responding to the survey is not manipulating the survey. I see no reason to assume or not assume that. To do this we pretend we have no information regarding the DNC hack, merely that it occured, and asses how likely each hypothesis is in turn. This is a nonsense posture of faux Cartesian ignorance. Of course you are not pretending you have no information about the attack! You encoded a great deal of knowledge about the attack in the initial set of options! But not necessarily a lot of time. If you have a lot of evidence, or all your priors are roughly equal, then the evidence will overwhelm your priors. The less equal they are, or the less evidence you have, the more important it is to get the prior likelihoods right. What Hornbeck is saying is, “Your data should be lightly fried, but not cooked completely. It should not be blackened on both sides, because data that is cooked too thoroughly gets rubbery and hard to chew.” Joking aside, I cannot read that as anything other than an adminition to make sure that your presuppositions are projected through your priors so that you weight the evidence to support the conclusion you already reached. The quality of the evidence matters too. If the news anchor got their info from another weatherperson running a separate model, then the relative likelihood is almost as good as if it came directly from that person. If they got their info by looking at the clouds, then it barely increases the likelihood. At this point I have to circle back to my earlier point: if there is empirical evidence that applies to the situation, it is going to be more important than any amount of conjecture. At which point, we should acknowledge that the empirical evidence is pretty much everything we need and focus on that, rather than trying to amplify our ignorance using statistical models. Finally, plunk it all into Bayes’ Theorem and pit multiple hypotheses against each other. What’s the prior odds of the Kremlin hacking into the DNC and associated groups or people? I’d say they’re pretty high. Why didn’t he just start by assuming the Russians did it? That’s what the article in Politico that he references also assumes. I’m comfortable with the possibility that the security consultants from SecureWorks that analyzed the Podesta attack may be right. I’m also comfortable with the fact that they have not presented enough evidence to me to convince me. I’d expect any of you to be skeptical if I say something and refuse to substantiate it (or delineate it as opinion if it’s not a matter of fact) and I expect any of you to be skeptical about what SecureWorks or anyone else says unless it has been vetted by at least some oppositional thinking. For example, when I read Kaspersky’s report on the TAO toolset, there was enough information contained within it that was consistent, matched other things I know, and did not contradict other things I know – I’m willing to accept the Kaspersky report as factual until someone presents contradicting information. Of course, then I wouldn’t need to be accepting someone else’s ‘priors’ – basically what Hornbeck is doing is saying that he accepts SecureWorks’ priors regarding another case entirely as applicable to the case of the DNC. I don’t see how that’s remotely defensible. You may as well just accept your ‘priors’ as being whatever some authority told you, and stop all the pseudoscientific math and posture of cartesian ignorance. I think Hornbeck is arguing in good faith, but is accepting as ‘evidence’ things that experts in the field consider to be outright funny. Or, we would consider it to be outright funny if the consequences weren’t so serious. Back when the FBI was claiming North Koreans were hacking Sony some friends of mine and I were wearing “Elite Hacker Unit” Tshirts I made on spreadshirt.com using Google translate Korean. We thought that was funny. I still think the cyrillic character set angle to attribute hacking to Russia is funny. I mean, seriously. I don’t want to rain on anyone’s prior probabilities but hacking is a huge industry in Romania, Belarus, Ukraine, Poland, Slovenia, and Serbia – also countries that use cyrillic typefaces. Basically, it depends where you get your keyboard. Or, more precisely, it depends where whoever wrote your malware got their keyboard. It is not evidence. That’s a huge problem for Bayesian analysis: you’ve got a bit of evidence stuck in your priors that one person appears willing to accept, while another is not. Does that mean you just go “too bad” and crunch your priors – garbage in, garbage out – or do you stop the process and collect more evidence? I, of course, would argue for the latter, and nothing but the latter. Once you have enough evidence then you don’t need all the framework of Bayesian analysis. One can say “Bayesian analysis is what you’re doing inside, Marcus” – which is true – but I’m not exposing my assumptions and I’m willing to talk about them openly: what do I know, what don’t I know, what do I wish I knew, what facts would I consider critically important? It would be tedious to go blow-by-blow through what Hornbeck presents as the evidence supporting his ‘priors’ because it’s a mis-mosh of stuff reported by different sources, speculation, facts, and secondhand analysis. Some of it I think may be true, some of it I think may not be, some of the secondhand analysis I think is pretty good, some of it I think is incredibly thin and weak. I’ve written about the problems with that, elsewhere: what I need is a solid stack of facts that I can form my own assessment from, and until then I’m going to withhold judgement. I don’t think Hornbeck’s deliberately being deceptive, and I think his explanation of how Bayesian reasoning can be applied is actually pretty good: he neatly illustrates the problem of trying to reach a conclusion from a mish-mosh of half-digested opinion, some facts, and a biased set of starting assumptions. It’s the scientism of Bayesian analysis that bothers me, in this case: it’s pretending to be able to better understand a situation than we can, given the facts we have available to us. I get downright suspicious when someone starts trying to present Bayesian ‘priors’ because it feels like I’m looking at a bunch of rigged data – and 100% of the time so far (how’s that for a prior?) – that’s what it’s been. Because Hornbeck forgot some of the important possibilities in his initial list, all of his subsequent effort is wasted; one cannot meaningfully apply estimates of likelihood after omitting an important part of the list of options, any attempts to “retcon” another option onto the list is going to be hopelessly biassed by confirmation bias and sunk cost bias. That may not be a problem for the proponents of Bayesian analysis, but to me it’s just bias piled atop bias with a bit of bias thrown in for kentucky windage. The ancient skeptics argued that, to be convinced of a thing, one displays all the arguments for it and against it, examines them and considers them fairly, then if there is irrefutable argument for it (or against it) accepts the irrefutable argument. If there is doubt, one withholds judgement and waits for more arguments or facts. It’s a more difficult process, but it’s harder to game because it’s more obvious when someone has cherry-picked facts, or downplayed or omitted others. As I’ve said – I think Hornbeck’s Bayesian analysis is a pretty fair example of that kind of approach – I think he’s doing a service by illustrating how bad Bayesian analysis can be. Now, to some people this isn’t good enough. “a matter of any importance” – obviously, if it’s not a matter of importance, then why perform the calculations at all? One of the problems with Bayesianism is that it presents a very strong argument while simultaneously disclaiming it as just a model. That’s a standard critique of statistics, namely that they tell you some interesting things about probabilities, but they can never actually confer knowledge about anything except the statistics themselves. “bog-standard social science survey” – in a phrase, that’s why I reject most of what is being done in the social sciences as pseudoscience. Basically, it’s nothing more than a game of building circular definitions and publishing them as interesting results. How do we know Altemeyer’s authoritarianism index is any good? Because it reliably maps to the people who answer it as authoritarians. How do we know IQ tests are accurate? Because they accurately measure performance on IQ tests. Etc. “promote subjective claims into objective claims” – because we are measuring and reasoning about people’s beliefs we are making objective claims about subjective beliefs. “9 out of 10 doctors recommend a glass of wine with dinner” does not mean a glass of wine with dinner is good or bad for your health; it just means that some percentage of doctors have some beliefs. I am immediately skeptical of such claims because I see them as consciously or unconsciously manipulative: they are trying to democratize truth. As Richard Feynman explained in his example of “how to measure the emperor of China’s nose”: take a load of responses and average them together, instead of asking the emperor’s assistant to ask the emperor’s permission to measure the damn thing. Some stuff about the PAS tool webkit that was used on DNC [errata][securi] – if you open your ‘priors’ up to “anyone who can get their hands on a copy of PAS” instead of “Russian hackers” you’ve suddenly added about 100,000 additional potential attackers. I am referring here to Agrippa the Skeptic’s “mode of dispute” which was also presented in Sextus Empiricus. I’ll also observe a funny thing about Bayesian reasoning: it’s got the same problem that AI have – you can crunch a whole lot of data down into a probability field or a Markov chain or a neural network but all they are capable of doing is emitting something that is mathematically highly similar to what you put into them. In that sense, “garbage in, garbage out” ought to serve as a refutation of Bayesian arguments, AI models, and human intelligence. I have a very very shaky grasp of Bayesian stats. I think you are being a bit unkind here to it but I cannot see how it can be applied in this situation. Remember I said ‘very’ shaky but I think HJ is trying to apply a Bayesian analysis long before there is any reliable data. One needs good forensics to produce reliable data. 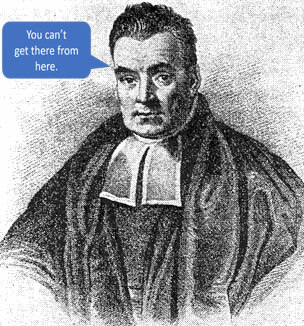 Then I’d be interested what you could do with a Bayes approach. If nothing else, the available “evidence”, whatever it is, appears terribly vulnerable to confirmation bias, especially whatever “evidence” is coming from US sources. “The Russians are the big bad boogymen so they must have done it”. And look! Cyrillic plus the user name “Felix Edmundovich” (i.e Dzerzhinsky’s name and patronymic) It must be Putin! Why not wave a red flag? BTW does anyone know what flavour of Cyrillic was found? I’m trying to be scrupulously fair, for what it’s worth. The objections (as a general set) that I’m making are fairly typical objections to use of Bayes theorem for determining something about reality: there is an actual reality that we can measure and learn about, so why argue about probabilistic models to encapsulate our opinions in the meantime? It’s actually the same objection that applies to the simulationist hypothesis: we’re either in a simulation or we’re not and arguing about the likelihood that we are is interesting but irrelevant; it doesn’t add any knowledge except about our opinions. That’s the point! If I had good forensics, I wouldn’t need to bother with Bayesian probabilities at all – I’d have actual facts to work with. I like facts. Facts are yummy and crunchy! If nothing else, the available “evidence”, whatever it is, appears terribly vulnerable to confirmation bias, especially whatever “evidence” is coming from US sources. That’s another argument against Bayesian models that I was being nice and didn’t make: if you assume that there are untruths being injected into your priors, then the whole thing goes out the window. That, by the way, is a reason why I don’t buy all the Bayesian arguments about jesus: I assume that there are interested parties constructing ‘facts’ that are being embedded into the ‘priors’ – it’s heaps of garbage in, small amounts of garbage out. It was a keyboard setting, so presumably whoever did it took the necessary seconds to set their keyboard to a Cyrillic keyboard, or was using a Cyrillic keyboard, or built the code on a compromised machine that had a Cyrillic keyboard, or any of a number of possible scenarios. If you’re a windows user, you can do this in about 20 seconds by opening ‘settings’ and searching for ‘region and language settings’ then choosing from a list. As I have said elsewhere and again I am comfortable with the idea that Russians were involved. They seem to me to be a good candidate. I just do not accept the attribution as good enough, yet. It’s frustrating because I suspect that some US Government agencies probably do have the information that could be used to do a very credible attribution. Instead, they are expecting us to swallow a bunch of stuff that’s pretty thin and could easily be mistaken or false. The recent leaks that the Intercept is making a big deal about point to that NSA has some evidence that Russian intelligence launched phishing attacks against election machine makers. That’s interesting. They could probably convince me that it was Russian intelligence if they exposed some of the underlying evidence behind that claim, but I’m not just going to accept “they used the same tools Russians use” and “they use Russian IP addresses” What’s frustrating is that they’re doubtless not going to provide evidence because that evidence would entail revealing that they monitor and capture all the email going into and out of and around the country. Which, we already know. But they don’t want to confirm it so they’re just saying “trust us, we know.” I’m not constructed to take “trust us” as an answer. I understand your objections but I am not totally convinced in general. I may be that my background is pscyh and we are used to best guesses as there may be no “there is an actual reality” that we can point to. It may exist but our instruments are not good enough to give a defintive answer. We learn to live with error-bars. I am willing to consider the possibility of THE RUSSIANS” but as you know I still find it unlikely that Putin & Co. would have ordered it. The Cyrillic and Felix are just a bit too obvious. The flavour of Cyrillic question was because different Slavic languages can have different letters. The Russian character set is not exactly the same as the Ukrainian and IIRC the Belorussian has a couple of different letters that the first two do not have. Think of a French or German character set as opposed to an English one. I’m still holding out for the teenager in Cleveland but I was, apparently, wrong saying Osama bin Laden was on a beach in Hawaii so I may be wrong about Cleveland. What are you trying to do – get a renowned Bayesian analyst to sue your whole blog network? I do think Bayes has valid applications, but it’s certainly not universally applicable, and you need to establish your priors based on actual data. For example, if you feed a Bayesian model with the details of every Texas Hold ‘Em poker game someone has ever played, it can probably do a fairly good job of telling you when they’re bluffing, because you have a bunch of facts (the visible cards, their relative chip strength, their recent betting, and so on) that are definitely related to the unknown you’re interested in, in more or less consistent (but only probabilistic) ways. But that sort of thing only works when you have a large volume of actual data to train your model with. I still find it unlikely that Putin & Co. would have ordered it. So, here’s an argument for Bayesianism: What you’ve just said is an estimate of probability. Your existing information, plus your beliefs about what has happened in the past – that’s how we assess likelihoods, it’s how we understand the present and future in terms of the past. There you go, you’re now an anointed Bayesian. The counter-argument is: So what? We do that pretty well, for all that we are also subject to cognitive biases. So let’s not pretend all the fancy math, let’s just talk about how our understanding of the past allows us to extrapolate into the future. Yes, that’s a very good summary of when/how Bayesian classifiers work. I use a spam filter in Thunderbird that uses Bayesian probability to determine, based on what I have told it is spam, and what I have told it is not, the likelihood that another message is or is not what I would classify as spam. Once you have about 400 messages in the training set, it works great. Because, as you say, it’s a straightforward up/down decision and the inputs are straightforward up/down inputs. If you want to think of them that way, neural networks are webs of Bayesian classifiers that do multi-way classification; that’s basically what they are. And they work pretty well: Google translate is driven by a very very large codex of language inputs and it does an OK enough job and will get better all the time. As will my spam filter. In that case we’re factoring in the size of our priors, and we have fairly simple up/down decisions we expect from them. It breaks down fast and hard when we’re asking a question that we don’t have a large dataset to train, i.e. : “are we living in a simulation?” or “was jesus a real person?” If we had deep experiences with being in simulations, or dealing with jesuses we would be able to just rely on experience. I think the easiest way to say that is that Bayesian classifiers (and by extension machine learning in general) are good for automating decisions that we are comfortable making because we have enough experience with the problem domain that we are confident that we can get it right most of the time, and are therefore comfortable training a neural network or Markov Chain or Bayesian classifier to do it for us. Well, as I said my knowledge of Bayesian theory is very, very shaky but my understanding is that both Laplace and Turing used Bayesian statistical approaches with some success so I’m willing to consider them as one approach. It is also clear that Gelman (2008) disagrees strongly with Andrew Ehrenberg since Andrew Gelman is a rather prominent proponent of Bayes. There you go, you’re now an anointed Bayesian. Well, in that case, everyone is intuitively a Bayesian. Gelman is a proponent of Bayesian statistics for the purposes to which they are suited, and I agree with him about that. Here’s a pretty good explanation, by Gelman. Bayesian inference is powerful in the sense that it allows the sophisticated combination of information from multiple sources via partial pooling (that is, local inferences are constructed in part from local information and in part from models fit to non-local data), but the flip side is that when assumptions are very wrong, conclusions can be far off too. That’s why Bayesian methods need to be continually evaluated with calibration checks, comparisons of observed data to simulated replications under the model, and other exercises that give the model an opportunity to fail. Statistical model building, but maybe especially in its Bayesian form, is an ongoing process of feedback and quality control. A statistical procedure is a sort of machine that can run for awhile on its own, but eventually needs maintenance and adaptation to new conditions. That’s what we’ve seen in the recent replication crisis in psychology and other social sciences: methods of null hypothesis significance testing and p-values, which had been developed for analysis of certain designed experiments in the 1930s, were no longer working a modern settings of noisy data and uncontrolled studies. Savvy observers had realized this for awhile—psychologist Paul Meehl was writing acerbically about statistically-driven pseudoscience as early as the 1960s—but it took awhile for researchers in many professions to catch on. I’m hoping that Bayesian modelers will be sooner to recognize their dead ends, and in my own research I’ve put a lot of effort into developing methods for checking model fit and evaluating predictions. I think Gelman was quoting Ehrenberg not to refute him but to acknowledge a necessary warning. I would say so, yes. If you start digging into machine learning models you’ll find that they’ve got some of the same problems that we do – cognitive biases, if you will – such as applying more weight to older learning experiences, or newer ones, variously. It’s interesting when you start looking at the network training literature: sometimes you want learning to favor establishing new rules, other times you want to be conservative. And it depends on what you’re doing and when in the system’s lifecycle it is being trained by an expert. I’m not saying Bayesian statistics don’t work. They work fine for some things. What they don’t work for is attributing cyberattacks to pre-selected government actors, or determining if we are living in a simulation, or if jesus was real. Another way of putting that is that statistics are useful for exploring your data-set, but once you’ve done that, you’re going to want to search out confirming knowledge. In the case of an expert system, that’s ‘training’ and in the case of a Bayesian system that’s “manipulating your priors” which is equivalent to tuning your expert rules-base. Why didn’t he just start by assuming the Russians did it? Because if your prior’s probability is exactly zero or exactly one, Bayes’s Theorem leaves it exactly zero or exactly one. In other words, if you’re absolutely, unshakeably certain that the Russians did it, no evidence will convince you otherwise (pretty much by definition). If you’re only 99.9998% sure, then extraordinary evidence (or an extraordinary quantity of lesser evidence) may still sway you. I think what you’re saying is that you want evidence so good, so overwhelming, that even setting the probability of your priors to 0.999999 or 0.000001 would make hardly any difference in the result of applying Bayes’s Theorem — which would make the theorem itself, if not strictly unnecessary, at least very boring. Romania, Belarus, Ukraine, Poland, Slovenia, and Serbia – also countries that use cyrillic typefaces. Nope! Romanian, Polish and Slovenian use Latin scripts. The Serbian language uses both. Ukrainian and Belarusian use Cyrillic scripts indeed. So does Bulgarian, a useful addition to that list (and the birthplace of the Cyrillic alphabet, to boot). It’d never happen! What are the ‘priors’ for something like that? Sorry, sloppy wording on my part. “Slavic languages that use a Cyrillic script” was my intent. I had not realized that. I always just assumed, as it was a Romance language, that it would have always used a Latin alphabet. I’m not saying Bayesian statistics don’t work. Sorry, I misread you, then. I’d agree that using any stats analysis given the available “data” for this is crazy. As far as I can see we don’t really have any real data that is likely to be uncontaminated by confirmation bias and possibly maple syrup.